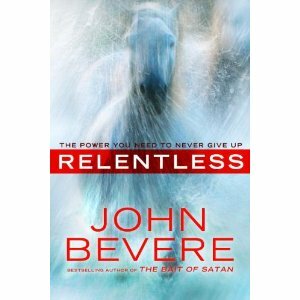 I recently finished Relentless by John Bevere. I have always enjoyed the author’s writing style and why I don’t always agree with his theology, I deeply appreciate his defense of Scripture and desire to communicate the truths of God’s Word. This book is really about the empowerment of God’s grace. We tend to think of grace only in relation to our sin but grace is meant for so much more. Grace is not only the power to overcome sin but it is the power to live an overcoming life as a warrior for the Kingdom of God. One of the highlights of the book is the chapter on humility. We often think of pride as the opposite of humility but as the author points out, Habakkuk 2:4 portrays pride and faith as opposites. “Behold the proud, His soul is not upright in him; but the just shall live by faith.” This should show us how God links faith and humility. Some hide their pride and disbelief behind a shadow false humility. True humility is absolute obedience and dependance on God. For me, the whole book was worth these few paragraphs at the end. Sadly, I have witnessed our spiritual (scriptural) foundations shifting to accommodate the trends of the times. It’s gotten so out of control that minister of a large church can stand before his congregation, declare he’s a homosexual, and receive a standing ovation. Another can declare it’s no longer God’s will to heal, and his people believe him instead of God’s Word. Another can author a book declaring that all humanity is going to eventually enter heaven – that no person will burn in eternal fire – and he remains a ‘rock star’ in Christendom. Another can challenge the virgin birth and the return of Jesus Christ and still be celebrated as a leader of the Christian faith. More and more sad scenarios such as these play our among “Christians” each day. Some recent surveys may help us understand these ludicrous shifts. According to one national survey, only 46 percent of ‘born-again Christians’ believe in absolute moral truth. More than 50 percent of ‘evangelical Christians” believe people can attain heaven through avenues other than the sacrifice of Jesus Christ. Only 40 percent of ‘born-again Christians’ believe Satan is a real force. How can this be? The answer is found in Paul’s words to Timothy: “They will not endure sound doctrine” – we are not remaining relentless in truth. More and more we are hearing and declaring a non transformational gospel. Its core message is unfaithful to the core doctrine of God’s Word, as in “Jesus died for our sins to get us to heaven, but we are human, and God understands our different vices and sexual preferences.” A popular teaching of late in the removal of the need for repentance from sin. Multitudes of believers are gleefully told that there’s no need to embrace godly sorrow over disobedience or to confess it to God because sin has already been covered by grace. I’ve heard men and women who embrace this teach boast of how simple, fresh, and liberating the message is. 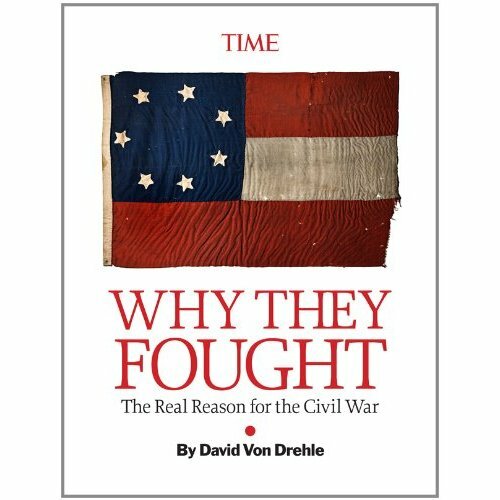 But if simple, fresh, and liberating war the real indicators of truth, then any doctrine that gratifies the flesh would be truth! If it’s an accurate teaching that Christians no longer need to repent, then Jesus Christ was way off base when he told five of the seven churches to “repent” in the book of Revelation. I often hear sentiments from Christians expressing their thankfulness that they do not live under the law but under grace. Such sentiments are often accompanied by the false assumption that God’s expectations of man are more lenient under grace than they were under the rigid rule of the law. However, the opposite is true. His expectations are higher for those of us who live in the age of grace. In Matthew 5, Jesus contrasts life under the law to life under grace with six examples. “You have heard it said… But I say to you…” He quotes the requirements of the law and then introduces His way under grace. The former concerns restraint while the later a transformation. Grace doesn’t require less from us than the law. 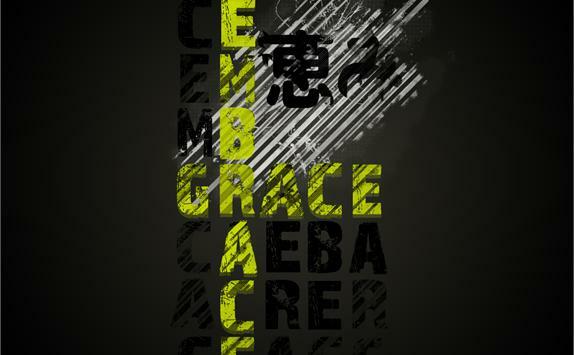 Grace empowers us to overcome. Grace is not an excuse to sin. Grace is the gift of God to mankind that we may conquer sin through the power of His Spirit. Ezekiel 2-3 conveys to us the commissioning of Ezekiel’s prophetic ministry. It is full of instruction for today’s preacher. In chapter 2, God tells Ezekiel two time in ten verses, “speak my words to them whether they listen to you or not” (my paraphrase). Preacher, preach the Truth. Preach the Truth if they listen and respond. Preach the Truth if they ignore you and continue to do evil. Do not mix the Truth with any lie in hopes that they will listen. Mix it with love and preach it regardless of the hearers response. In chapter 3, God gives Ezekiel instructions on receiving and delivering the message. “Eat this scroll” (3:1). That seems a bit strange. The instruction for today’s preacher is clear. Eat this, Preacher. Be full of the Word. Read your books. Read your blogs. Listen to other preachers. Scan the news for illustrations. But above all else, be full of the Word. Don’t stop there, Preacher. After God fed the Word to Ezekiel, He advised him to allow the Word to sink deep into his own hear first. “Listen to them careful for yourself” (3:10). Preacher, if you are not preaching the sermon with your life first, it will not be effective when you preach it with words; regardless of how much they shout. Now that you are full of the Word and your life has been changed, you are ready to preach to others. “When you receive a message from me, warn people immediately” (3:17). Warn the wicked that they must turn from their sin. Warn the righteous that they must not turn away from their righteous behavior. This is your task, Preacher. You will be held accountable. 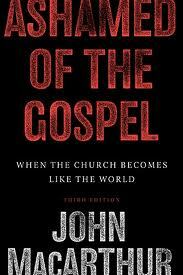 To all of my friends and fellow ministers, I would like to recommend a great book that recently finished. Ashamed of the Gospel by John MacArthur is an excellent argument for the authority of the Word of God and the God-given ministry methods of preaching and teaching all Scripture. Of course, with any book you eat the meat and throw out the bones. However, in this book I found a lot more meat than I found bones. You will not be disappointed. The book is full of great quotes. Let me leave you with a few of my favorite. What marvel if, under some men’s shifty talk, people grow into love of both truth and falsehood! Spiritual and biblical truth is not determined by testing what “works” and what doesn’t. We know from Scripture, for example, that the gospel often does not produce a positive response (1 Cor. 1:22–23; 2:14). On the other hand, Satanic lies and deception can be quite effective (Matt. 24:23–24; 2 Cor. 4:3–4). Majority reaction is no test of validity (cf. Matt. 7:13–14), and prosperity is no measure of truthfulness (cf. Job 12:6). Pragmatism as a guiding philosophy of ministry is inherently flawed. Pragmatism as a test of truth is nothing short of satanic. “False doctrine and worldliness”—the same two influences Spurgeon attacked—always go hand in hand, with worldliness leading the way. Real success is not getting results at any cost. It is not prosperity, power, prominence, popularity, or any of the other worldly notions of success. Real success is doing the will of God regardless of the consequences. So the entire task of the faithful minister revolves around the Word of God—guarding it, studying it, and proclaiming it. If we concern ourselves with the depth of our ministry, God will see to the breadth of it. If we minister for spiritual growth, numerical growth will take care of itself. Biblical correctness is the only framework by which we can evaluate ministry methods. Do you see how the new philosophy necessarily undermines sound doctrine? It discards Jesus’ own methods—preaching and teaching—as the primary means of ministry. Now observe, brethren, if I, or you, or any of us, or all of us, shall have spent our lives merely in amusing men, or educating men, or moralizing men, when we shall come to give our account at the last great day we shall be in a very sorry condition, and we shall have but a very sorry record to render; for of what avail will it be to a man to be educated when he comes to be damned? Of what service will it be to him to have been amused when the trumpet sounds, and heaven and earth are shaking, and the pit opens wide her jaws of fire and swallows up the soul unsaved? Of what avail even to have moralized a man if still he is on the left hand of the judge, and if still, “Depart, ye cursed,” shall be his portion? The threefold response of that day—contempt, curiosity, and conversion—is typical whenever the gospel is faithfully preached. If we forget that it is God’s prerogative to give results when the gospel is preached, we shall start to think that it is our responsibility to secure them. And if we forget that only God can give faith, we shall start to think that the making of converts depends, in the last analysis, not on God, but on us, and that the decisive factor is the way in which we evangelize. And this line of thought, consistently followed through, will lead us far astray. The first step astray is a want of adequate faith in the divine inspiration of the sacred Scriptures. Brethren, we shall not adjust our Bible to the age; but before we have done with it, by God’s grace, we shall adjust the age to the Bible. Men are perishing, and if it be impolite to tell them so, it can only be so where the devil is the master of the ceremonies. Walls are only as strong as their gates. Gates are only as strong as their keepers. Walls serve a significant purpose, but they are useless if the gatekeepers don’t understand and uphold their purpose. Build strong walls but don’t forget to teach people why the walls are important!